Has it only been a week since Demand Media filed for an initial public offering? For Demand Media, it's been a long week, and certainly not a felicitous one for its plans to go public. Initial public offerings can bring more than fresh capital, they can also bring fresh publicity. But in an IPO market as finicky as this one, the contemporary adage that any publicity is good publicity doesn't hold. The number of misfires that Demand Media has suffered in the past week could add up enough that investors start to lose faith in the startup's management, if not the company itself. First, Slate's Jim Ledbetter noticed that the Quantcast data for Demand Media sites plummeted 75% almost overnight in late July. Which was especially interesting, given that the traffic slide occurred well before Demand Media filed its prospectus, in which it included traffic data through June 30, 2010. As Slate noted, there could be technical reasons for the traffic plunge that have nothing to do with a shrinking audience. But rather than updating a prospectus with an explanation, Demand Media stayed silent and pulled its traffic data from Quantcast. On the heels of that news came reports of a discrepancy between Demand Media's prospectus, which showed the company has yet to post a profit in its four-year history, and previous comments from CEO Richard Rosenblatt (on the right in the above photo), which declared the company "highly profitable" in one interview and having "healthy profits" in another. Reports emerged calling Rosenblatt a liar. Here again, there may an explanation that is perfectly plausible if not terribly comforting. Startup executives will sometimes throw out the word "profit," knowing that it can mean many things: gross profit, operating profit, net profit, EBITDA profit, all of which can vary according to GAAP and non-GAAP measurements. Rosenblatt could have meant a rather arcane interpretation of "profitable" that was technically true but also, he well knew, disingenuous. Clearly, everyone else assumed he meant net or at least operating profit -- and Demand Media has lost money by those definitions. But the most unsettling revelation is one that caught the least amount of media attention. A report from HostExploit, a site devoted to researching and exposing cybercrime, labeled Demand Media "Number One Bad Host" in its "index of comparative Internet badness." It earned that dubious distinction by hosting an unusually large number of infected Web pages on sites that distribute spam and malicious software. Like all service providers Demand Media has to deal with scammers abusing its network. The criminals register domains or rent servers to host their scam websites -- often doing this through other companies that resell Demand Media's services. The criminals will hack legitimate customers and use their servers, too. For ISPs, staying on top of this fraud is just part of the business, but some companies pull this off this better than others. Over the past year, Demand Media has had a hard time keeping up with the criminals, cybercrime watchers said Tuesday. Some of those cybercrime watchers think Demand Media just doesn't care. The number of bad websites the company hosts has risen to 7,400 this year from 4,300 last year. As a result, Demand Media has registered only 8% of global websites but a third of all fake pharmacy websites. It's not clear why a company would enter the IPO queue and the increased scrutiny it can bring knowing that it's hosting a rising number of malware sites. All of this could present problems for Demand Media, potentially through costly lawsuits. But HostExploit also says that the company may be in violation of ICANN's Registrar Accreditation Agreement. That would shut down Demand Media as a registrar, a business that makes up nearly half of its revenue. Demand Media surely knows what's at stake: It warned about this problem in the risks section of its prospectus. "While we have policies in place to terminate domain names if presented with a court order or governmental injunction, we have in the past been publicly criticized for not being more proactive in this area by consumer watchdogs, and we may encounter similar criticism in the future. This criticism could harm our reputation." This cavalier attitude to the company's problems is especially strange considering that CEO Rosenblatt has been down this road before. 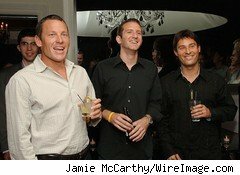 As CEO of Intermix -- a company that owned MySpace, at the time the hottest social network around -- the valuation of the company was hurt by an investigation by New York's then-Attorney General Eliot Spitzer. Spitzer's beef with Intermix? Running a network of websites and marketing services that secretly installed spyware onto millions of computers. Spitzer's office at the time called Intermix "one of the worst offenders" for spyware. Intermix eventually settled the charges, but the lingering scandal helped News Corp. (NWS) to buy MySpace for a cheap $580 million. Why would Rosenblatt revisit that unhappy episode? And why would the company simply sit back and hide behind the old "quiet period" excuse amid the wave of negative press? An update of the prospectus could help it to clarify any misperceptions and address any problems head on. The longer it waits, the more the IPO's reputation could be hurt. And that could leave little demand among investors for Demand Media. The company didn't immediately respond to requests for comment over the weekend.